We have a Walmart lamp in our bedroom. It looks too boring. So we did another inexpensive springy makeover with sticko stickers. 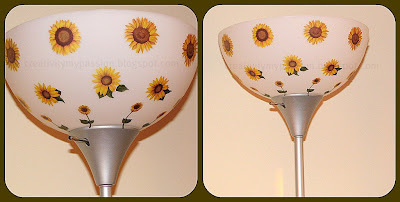 This time we used sunflower stickers to go with the sunflower wall hanging in the bedroom. Looks so bright and cheery now!! Really adorable, thanks for linking in our carnival. oh so lovely!! so bright and beautiful!! 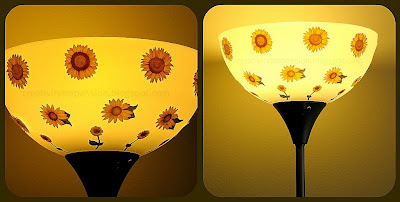 I love how you dress up lamps! Glad you like our lamp dress ups JDaniel4's mom!